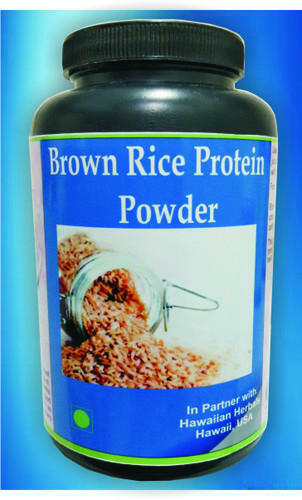 Brown rice protein powder is a dietary supplement manufactured and marketed by Agro Enterprises, an ISO 9001:2008 certified company, in partnership with Hawaiian Herbals, Hawaii USA. It is HALAL and Kosher certified product and has been produced under international GMP regulations. Raw protein in this product boosts digestion and become an instant source of energy production. It contains organic sprouted whole grain brown rice protein isolate and syrup solids along with organic cocoa. Brown rice has many health benefits and indeed a good source of fiber.